Buffleheads are the smallest diving ducks in North America. They are around thirty-five centimeters long and weigh approximately one pound. Their small size allows them to nest in the abandoned holes in trees from the Northern Flicker. These holes are too small for most other ducks to use. 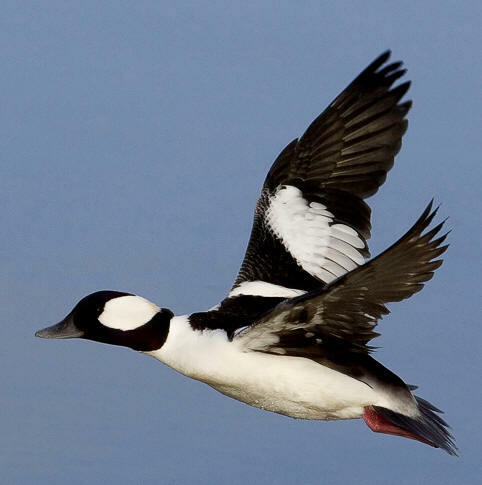 The Buffleheads' small body mass also allows them to be able to take flight out of water with barely a starting run, while most other ducks need a fairly far run. Their bones, like other birds', are hollow, which enables them to weigh less while still having a strong support structure. This lower weight helps them with flying because there is less mass to carry. 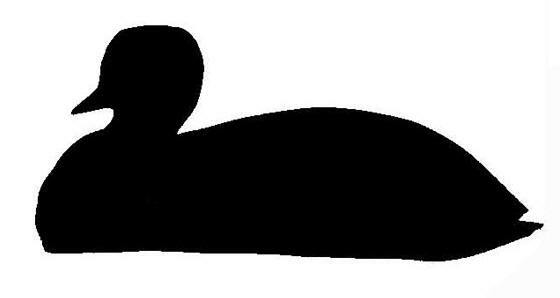 The legs of buffleheads are placed farther back on their body. This gives them the ability to dive and swim extremely well, but it makes it quite difficult to walk on land; therefore, buffleheads spend the majority of their time in the water and barely any on land. When they dive, they tuck their plumage tight to their bodies and leap upward and then powerfully thrust their body into the water. When they are swimming, they tuck their wings to their body and use their feet to propel them forward. Their feet are webbed and, unlike other diving ducks, have a lobe hind toe. 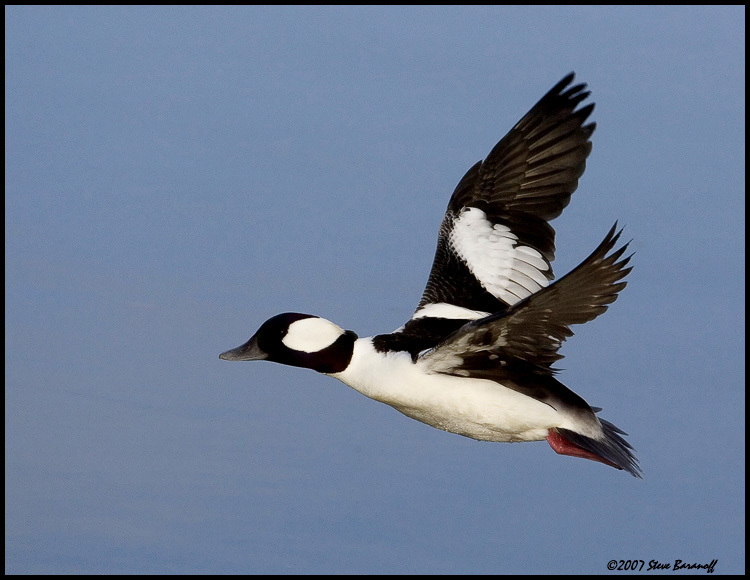 These characteristics aid buffleheads in their great swimming abilities. Like other ducks, buffleheads produce an oil over their feathers to keep them waterproof. *To see a female bufflehead awkwardly walk on land, swim, and preen click here. Buffleheads prepare for migration by consuming more than a quarter of their body weight as fat reserves to be used as energy later. Their rapid wing beats make the buffleheads one of the fastest ducks. They travel primarily at night and fly high over land and low over water.